Discourse & Debate: Should we confront family members about politics during the holidays? Sitting at the Thanksgiving table reminds me that for all my #woke bluster on social media, I am a coward when it comes to talking to the people closest to me. If I were really invested in acting in accordance with my principles, I ought to refuse to celebrate Thanksgiving altogether. What does this holiday celebrate except violent settler colonialism and genocide? But then, I think, what am I supposed to tell my parents: "Sorry, Mom and Dad, I know you wanted to celebrate this holiday together as a family, but I'm not going to celebrate it anymore"? I know that would hurt them, and while this really isn't any excuse for complicity in literal and ongoing genocide, I don't want to hurt my parents anymore. I see them so infrequently now, and I miss them. In high school, I rebelled and fought my parents at every turn. Once, my mother called me a murderer for supporting Planned Parenthood, and my father confiscated my leftist books. But despite their disapproval, they still cared for me unconditionally. And in many ways, I was unfair to them, in the way of adolescents who think they know it all. Once, in an argument with my mother over gay marital rights, I—a white-passing person—flippantly told my immigrant mother, a woman of color, to "check her privilege." She had sacrificed so much of her own happiness to give me a better life, and although she does have privilege as a heterosexual person, my combative and judgmental approach—coupled with the fact that I gave no context for the definition of privilege as a systemic issue—made it sound more like a personal attack than an invitation to reexamine her views. I still haven't forgiven myself for the hurtful things I said and did, and I never want to cause my parents any more pain. At the same time, however, there is no excuse for my moral cowardice in not confronting oppression. I don't think it's necessary to pick a political fight at the Thanksgiving table, but I do believe we are morally obligated to call out bigotry if and when it comes up. Not because it's likely to change anyone's mind in that moment, but because it creates an atmosphere in which the worst sentiments will not be tolerated. These conversations don't need to start and end at the dinner table. The reason so much ink has been spilled on the topic of "Thanksgiving table fights" is likely because many of us don't contact our racist uncle or homophobic aunt outside of mandatory family gatherings. And if it's a relative you aren't close with who is spreading the problematic rhetoric, go right ahead and call them out or even cut them off if they continue to espouse bigotry. It isn't so easy to go after loved ones, the people who provide emotional, and sometimes even economic, support to us. But when they continue to express bigoted sentiments, we should continue to engage with them in productive dialogue. I don't want to attack my mother or father at the dinner table, but if there's an issue, I can discuss it with them privately at a later time, approaching them from a place of love and understanding. And even if I don't change anyone's mind overnight, if I can at least reduce the harm, then I should try. I don't have an easy answer to this question. It's such a subjective issue; the extent of the political engagement really depends on the family you're in. But if that one relative won't stop invalidating your identity, it's okay to cut them off; you don't owe anyone your time solely on the grounds of blood relation. Thank you, next. Tiffany Dimm is a sophomore at Columbia College majoring in English. 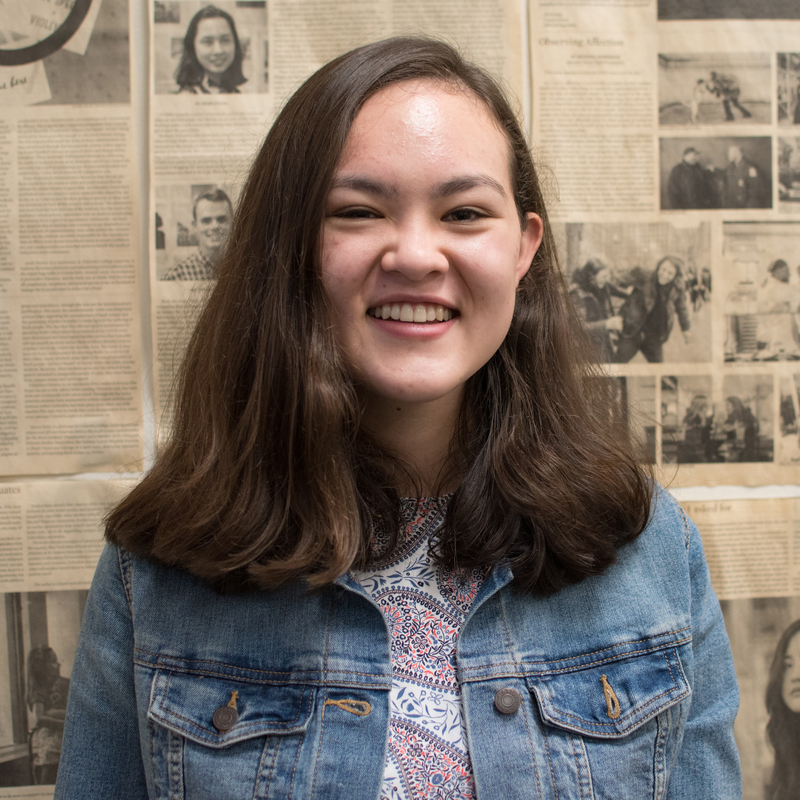 She’s involved in Student-Worker Solidarity and Columbia Divest for Climate Justice. Considering how civically engaged we are on campus (unionization, midterm elections, etc. ), what is our responsibility—if we have one—to extend that around the dinner table during the holidays in politically polarizing times? Should we confront family we don’t agree with? When Alexandria Ocasio-Cortez spoke to Columbia students in September, she implored them to take their message about racial justice to the Thanksgiving table. At the time I lauded that person-to-person approach as representative of an important kind of political engagement. Writing just after my first Thanksgiving with family since 2015, it has become clear to me that this praise was misplaced. Allow me a concession: My family’s Thanksgiving dinners are the farthest thing from political. The closest we get to exchanging fisticuffs is when my younger brothers chastise my dad for bringing up some topic in the news that they find boring. We talk politics, but tangentially, briefly, and without too much contention. This year was no different. I can’t speak too much about those boisterous November grudge matches that have become a fixation of our pop culture. Nor can I talk about my personal experience with the “angry uncle” archetype. However, the way that we are discussing Thanksgiving hints at a broader malaise in our politics. 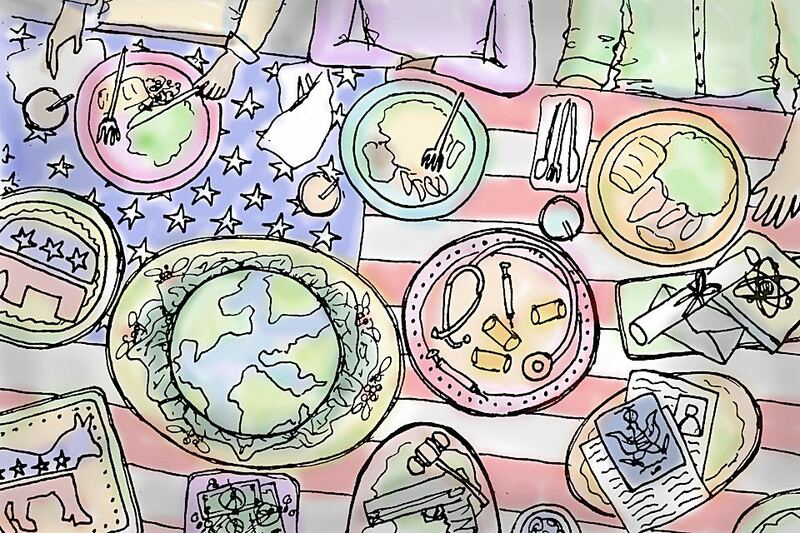 Columbia students might ask what civic responsibility they possess when sitting over Turkey and stuffing, especially considering campus conversations about graduate student unionization, the midterm elections, and more. The subtext of this question hints that we should bring our “problematic” relatives in line with progressive politics, that Thanksgiving has become another sphere corrupted by the politicization of everything. This isn't to say that we don't have a civic duty during Thanksgiving, a day which drips with equal amounts of nationalist sentiment and turkey grease. Presidents from Washington, to Lincoln, to Teddy Roosevelt have marked the holiday to give thanks for the success of the American experiment, national prosperity, and the unity of the American people. As much as the holiday serves as a time for family to get together, it also exists as a celebration of America's triumphs. To the extent that civic responsibility defines Thanksgiving, Columbia students should devote themselves to the original unifying, aspirational spirit with which the holiday came about. We should play our role by working to bridge the growing divides in our national life. However, as our society sorts itself into increasingly homogeneous categories, tolerance for differing views will certainly suffer. Polling shows that 40 percent of Americans try to avoid talking politics during Thanksgiving, and that such discussions are easier when family members have the same beliefs. But when they don't agree, maybe it's better to set politics aside and consider family apart from the sum of their opinions on policy. Political discord has torpedoed our personal relationships, straining cross-partisan marriage and complicating dating. The number of Americans who say they "hate" members of the other political party is at an all-time high. And particularly dismaying, researchers think that Thanksgiving celebrations two weeks after Donald Trump's election in 2016 were cut short by political tension. Our campus' civic culture contributes to these developments. Why? The "wokeness" that defines Columbia's dominant political orthodoxy fails to disentangle the personal from the political; the idea that differences of opinion could be reason to abandon friendships and shun family seems widely accepted here. Support for Trump, for instance, is nothing less than an act of violence against people from marginalized communities. Advocacy for the Core Curriculum becomes advocacy for white supremacy. Originally conceived as a time to express gratefulness for national prosperity and harmony in the face of all odds, Thanksgiving—at least in the popular imagination—has become another arena for bitter, partisan battle. And so, every fourth Thursday of November we have the opportunity to chip away at this tendency. Every fourth Thursday of November Americans participate in a referendum on who we consider ourselves to be. Ceasefire should be the goal—the civic responsibility of the day. 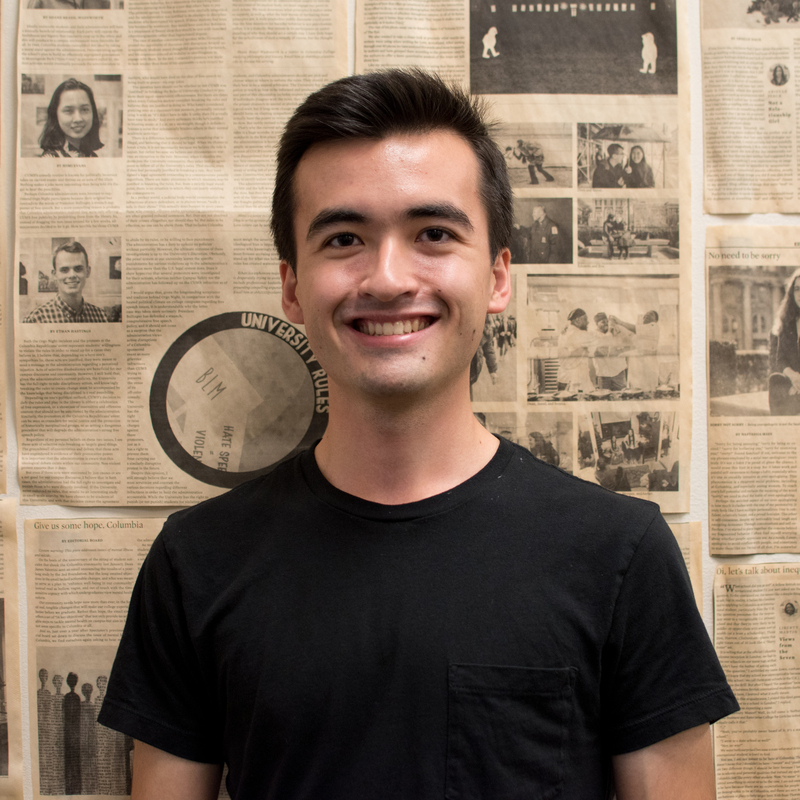 Jimmy Quinn is a junior in the School of General Studies majoring in political science. He’d love to hear your thoughts, especially if you disagree. Reach him at jtq2104@columbia.edu or on Twitter @realjimmyquinn. My mom's side of the family eats hot dogs for Christmas dinner—except we call them wieners. We cherish this idiosyncratic tradition, as it is emblematic of our German heritage and also a way to honor my late grandparents who were off-the-boat Deutschers. Thumbing our noses at the baroque ceremony surrounding an ornately prepared and presented bird, we prefer the levity, irreverence, and mirth of simple, anti-orthodox Frankfurters. And what could be more German than levity, irreverence, and mirth? (Don't answer that). While my mom’s side opts for gossip, wieners, and good-natured squabbling over current events, my dad’s side is comparatively more genteel. My mom likens the dispositional difference between their clans to a scene in Woody Allen’s Annie Hall, in which the main character Alvy is comparing his girlfriend’s family—who are staid, polite white Anglo-Saxon Protestants—with his own family of coarse, bickering, white ethnic immigrants. Yet despite their bickering and irreverence, both Alvy’s family and my mother’s family enjoy themselves much more than any well-behaved family that avoids conflict at all costs. Arguing, it turns out, can actually be a lot of fun. So, at your next holiday gathering, I urge you to go ahead and argue about politics—but only insofar as it makes the gathering more fun for everyone. Chastise your relatives for their problematic views if you want and an argument you shall have—just not one that is mutual, conversational, or fun. And that leads me to a larger point about why arguing can be fun, which is that it has nothing to do with being right. Instead, consider Alvy’s potential in-laws. Don’t they seem stiff, stuffy, and suppressed? That, in fact, is the entire joke. Humans are political animals and as such suppressing our political passions takes mental work. That’s why the WASPy in-laws seem so anemic: they’ve spent so much energy upholding propriety that they’ve left little for the actual dinner party. Yet politics colors so much of our lives, from healthcare to policing, that to skirt around it is to deny something vital. However, just because suppressing politics is mentally draining and therefore not fun, it doesn’t necessarily follow that the converse is fun. Indeed, these past two years I might’ve advised against talking politics at Thanksgiving. That’s because there’s little fun to be had when the GOP is simply mopping the floor with the Democrats while also destroying the country. The atmosphere was too serious and the game too one-sided. But now, after the midterm elections, some gamesmanship has been restored to our politics. Liberals can now smugly gloat a little this year, just as Obama did in his 2015 State of the Union when he quipped about having won two elections. And that’s my first reason for why arguing can be fun: It can turn a dull, perfunctory gathering like the State of the Union or Thanksgiving into something more lively. At the same time, the etiquette inherent in those gatherings prevents your exchange from descending into a free-for-all. To push against the boundaries of decorum while simultaneously being protected by them is like riding a roller coaster: thrilling, but contained. In other words, fun. Of course, politics is much higher stakes than a roller coaster—it often deals with life and death. There are those who will, therefore, charge me with making a privileged argument; that I’m able to have fun arguing against, say, U.S. Immigration and Customs Enforcement deportation policies because I haven’t any skin in the game. True enough, but then I don’t think a little lightheartedness detracts from the overall gravity of an issue. More than that, though, the happiness of your family is high stakes, too. You should be willing to sacrifice it as a casualty in only the most grave of political circumstances, such as war or racist extremism. Meanwhile, I hope you got to enjoy the most fun part about arguing politics at Thanksgiving: when it’s over with and you’re able to chat over dessert in spite of it all. 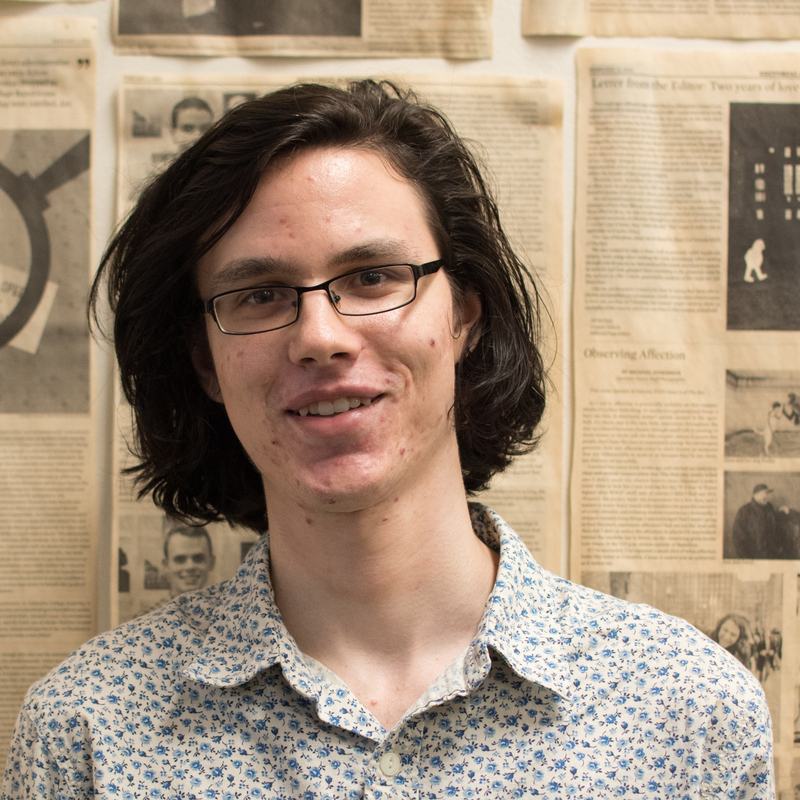 Jeremy Mack is a first-year English major at the School of General Studies. At Thanksgiving dinner, the atmosphere is meant to be filled with warmth, tradition, and family unity. And in creating such a space, I believe that it is possible and appropriate to engage in socio-political discussions. In remembrance of the massacre of Native Americans by white supremacist settler colonialism, I see it only fitting to have these uncomfortable conversations with your loved ones. As college students, we should embrace our families and our growing knowledge. Our families and our schooling do not have to be independent of each other. Otherwise, we become complacent in accepting the violence committed against marginalized people in the name of American values. To avoid repeating America’s history of genocide, slavery, and discrimination, we have to start at the dinner table with our family members. Many Columbia students believe that we are armed with the tools of academia needed to analyse the most urgent issues. However, this ideal can fall apart when we face the people who raised us and molded our values. Students may return home with perspectives that differ or contest again those held by their family members. Therefore, we end up reflecting on the differences between who we are as college students versus who we were before. Growing up as a black woman, I have always been conscious of my identity as a personal and political statement. I want to talk about the state of American and worldly conditions with my family, as it is both a chance to learn from them and dissect through my own thoughts. Family should be able to enjoy time catching up, and not act oblivious to our current political climate at the same time. If the room necessitates discussion, then families should not purposefully veer away from a topic. We should both be able to have productive dialogue and honor family spaces that are oftentimes limited for college students. I believe that there should be an attempt to unravel and expose the faults of a controversial relative. It should entail being calm and collected, which can be a way to communicate specifically with elders. I am assuming that the conversation can be civil, however, I do recognize this is not always useful or possible, and the intensity of the moment may become toxic. In addition, there are students who are financially dependent on family members with opposing views. I strongly believe in prioritizing taking care of one’s own emotional and physical health. Unless a possibly dangerous situation, an attempt should be made to correct questionable comments. I do not want a potential #BBQBecky or proponent of blatant oppression to go unchallenged. There are people around the world who institutionally suffer because people remain complicit. The concept of dinner table conversation should be seen as an opportunity for how discussions of values and social change manifest. We should not ignore the degrees of safety that are at stake when confronting family members. Yet, if you allow for ignorance to marinate on during the holidays, you probably will allow it to permeate once the meal is finished. This issue is not about destroying family dynamics or breaking relationships. It is also not about asking homesick college students to ruin the short periods of time we have with our families. At the same time, I caution against hypocrisy. There should be a call for personal reanalysis when one parades around campus as the expert of discourse and text interpretation, and then not engage with the problematic voices at the dinner table. If you can’t make an impact with those closest to you, how are you supposed to do it when you graduate? 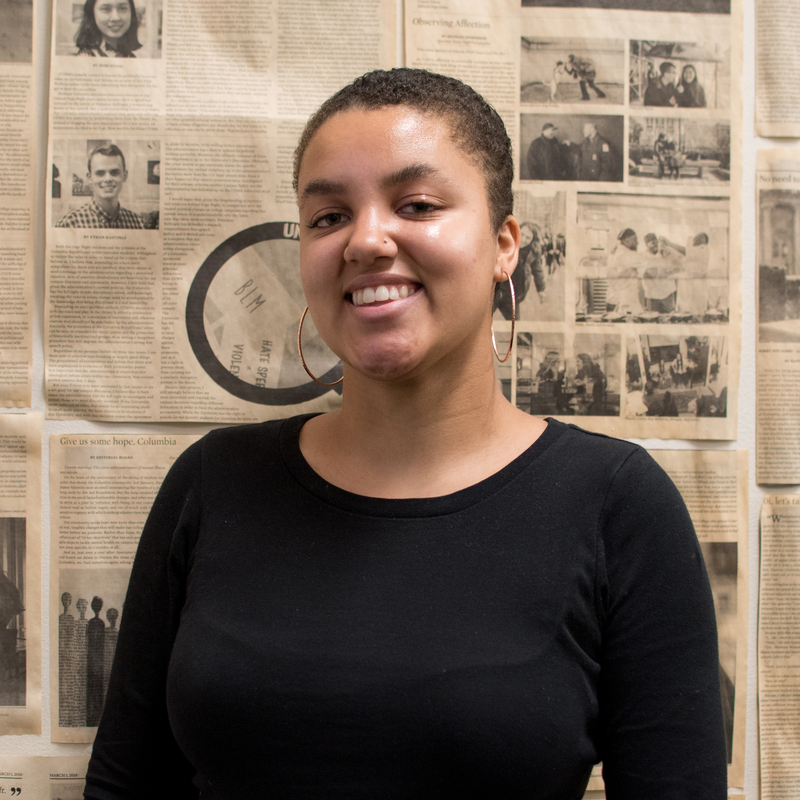 Tova Ricardo is a sophomore in Columbia College studying English and sociology. I can imagine a number of conditions under which a holiday war might be advisable. For example, if your family hides weapons of mass destruction in the attic or, more likely, holds some position of power in a Fortune 500 company or even in the nation. But I’m going to take two guesses. One, you don’t fit this description. Two, any confrontation with your family is likely to feel like a protracted war which sours the moods of all involved. If you really do feel like holiday wars are necessary, then take comfort in the fact that, as long as the economy holds, you’re probably a couple years away from renting your own place and never having to stay with your family. If the fact that your uncle voted for either Trump or the Green Party makes you want to wretch your insides over the cranberry sauce, you could potentially avoid them forever after you graduate. Emotionally, they might be hurt by the fact that you can’t stand them, but if I accurately described your feelings, this would hurt them more than it would you. However, before you write your final goodbye note and dramatically exit your family’s life, can I ask—is there nothing your family has to offer outside of politics? These are the people who you’ve known for most of your life, that you’ve shared a lot of your life experiences with and from all of those moments can produce an inconceivable bond of care. Now, there’s a key operative clause there. I’ve read enough Dear Prudence to know that many families aren’t fair. There are things, whether based on your sexuality or a serious health risk, that leave you with no room to compromise and will poison your relationship for years or even decades. That’s completely fair. And instead of this apolitical family life, many people face a life filled with abuse, something which constitutes more than enough to cut ties. This prompt, however, asks whether you should be willing to make a family gathering miserable over politics, and only politics. If your family cares about you as a person, and they care about your health, then I think there’s a value in keeping them in your life. The reality is that if your father isn’t a congressman or your mother isn’t an oil executive, their conspiratorial views on climate change amount to nothing compared to those paid to lobby Capitol Hill. There really isn’t much to gain in fighting voters after they already voted. Look, if I had a foolproof way in which you could bring up an issue and change your family’s mind, I would share it. There would be a number of practical applications for that strategy, especially on racial issues. But, think about what would happen if Colin Kaepernick came on the news over Christmas dinner. He could literally be shaking Jesus’ hand at this point, and some people would still hate him. If some of those people sound like they could be members of your family, what point would confronting them over a ham dinner do? The only effective policy might be to leave, maybe passive-aggressively, It’s a Wonderful Life on the TV. However, before it gets to that point, if there is someone you’re close with, who you have mutual respect for, take them outside at night when it’s not too cold and talk about one issue. One at a time, not many in rapid succession. Don’t mention buzzwords, the evil public figures, or whatever you heard on TV. Just talk about your favorite Contemporary Civilization class, the one that made you think about something in a way you never thought before. That might work. 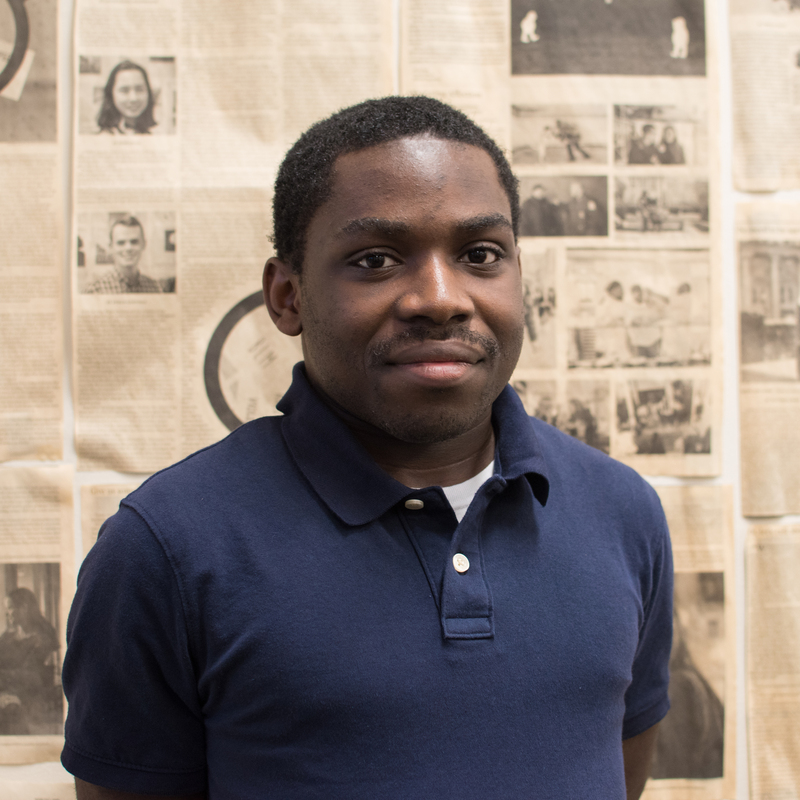 Ufon Umanah is the investigations editor for The Blue and White, the undergraduate magazine of Columbia University. At the Thanksgiving table he silently stares at his stuffing. You can find him at @ufonumanah or at The Jotting Jay.